The fire was reported early this morning in the Wolf Creek area at Mile Post 35 on Highway 26. 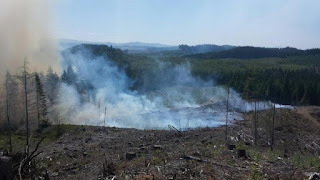 Fire Crews from the ODF Columbia City and Forest Grove Units and Astoria District responded along with Banks Fire and Forest Grove Fire and Rescue. 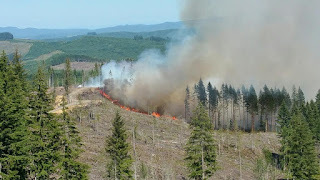 At 4:00 pm the fire was reported by the Incident Commander to be 30 acres burning on State land. 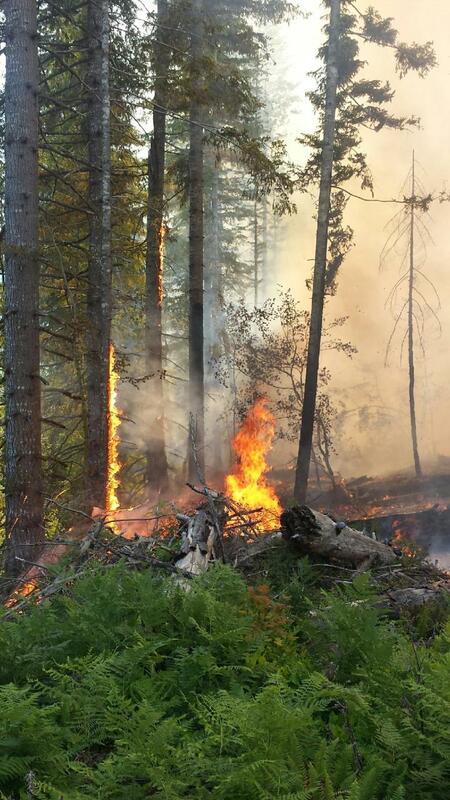 The fire is 30% lined and crews are making good progress. The fire cause is under investigation. We ask that the public avoid this area until the fire is controlled.